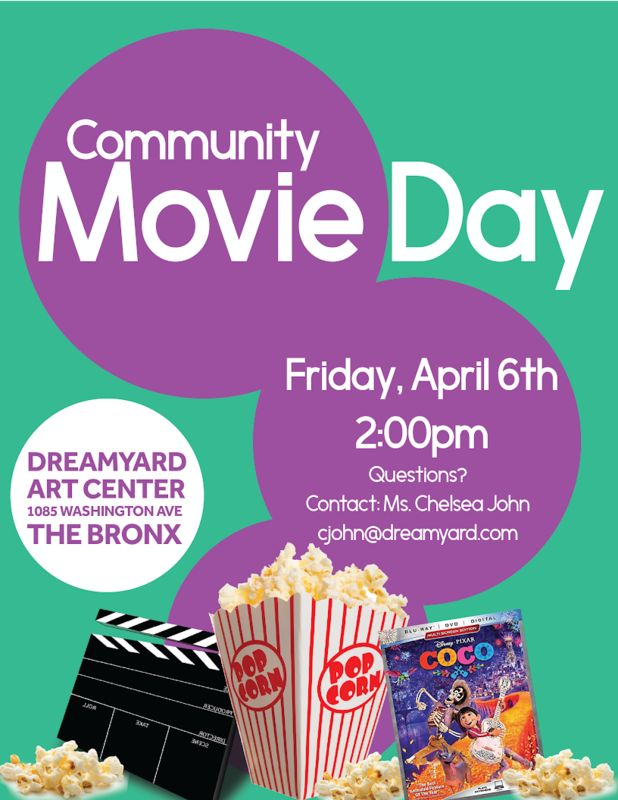 Free movie screening of animated film, "CoCo," will begin at 2:00pm. Popcorn and drinks will be provided on a first come, first serve basis. All ages are welcome.